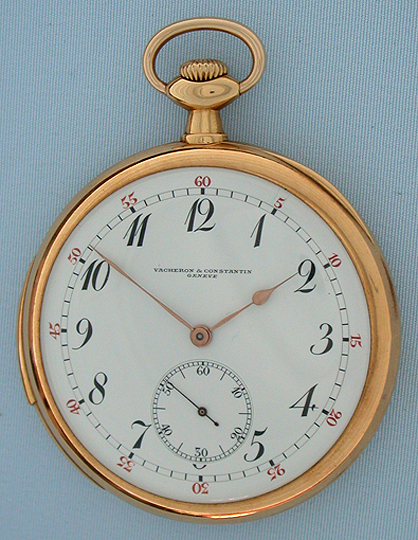 Fine Swiss Vacheron & Constantin 18K gold minute repeater antique pocket watch circa 1920. Fine white enamel dial (clean spyder hairline) with red and black numerals. 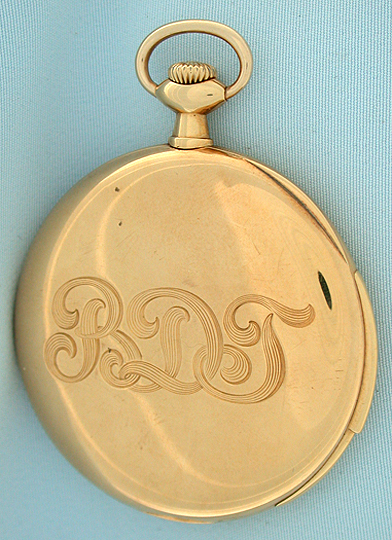 Plain polish case with monogram on the back and presentation on the dust cover. 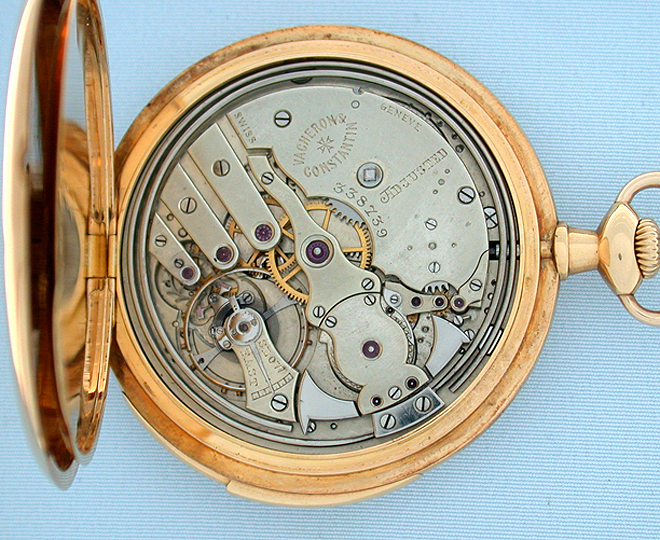 First quality 29 jewel nickel movement jeweled to the hammers and the center. A handsome watch by a most famous maker with loud, clear tone.